Welcome to another day of the NBA 2018-19 season. Yesterday, we had six games to watch and we have six games to review tomorrow. Let's analyse some of the meaningful performances from the last night, results of the matches and the top players to look out for in the matches tomorrow. 1. James Harden (Houston Rockets): 57 points, 17-33 FG, 9 rebounds, 2 assists, 2 steals, 1 block and 5 TOs. 2. Anthony Davis (New Orleans Pelicans): 46 points, 16-34 FG, 16 rebounds, 4 assists, 3 steals, 1 block and 1 TO. 1. Jae Crowder (Utah Jazz): 2 points, 0-6 FG, 5 rebounds, 1 assist and 4 TOs. 2. CJ McCollum (Portland Trail Blazers): 6 points, 2-14 FG, 6 rebounds, 1 assist, 1 steal and 3 TOs. The Boston Celtics kicked it off with the Brooklyn Nets and ended up getting handed a loss, 102-109. 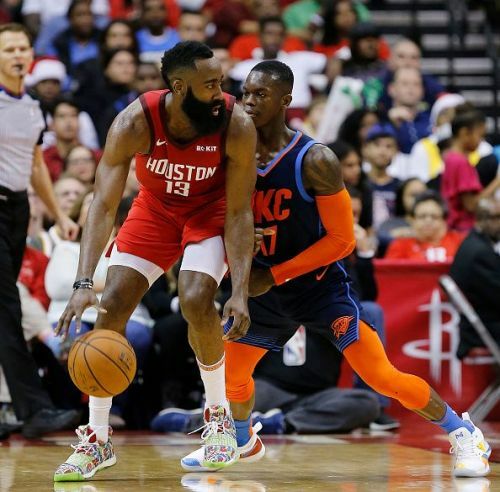 The Memphis Grizzlies played against the Houston Rockets and were blown away by James Harden, 94-112. Charlotte Hornets faced off against the San Antonio Spurs in an interesting game, with the Hornets coming away with the victory, 108-93. The Detroit Pistons went up against the Utah Jazz in an interesting game, with the Jazz coming out on top, 100-94. The Sacramento Kings played a tough match against the Portland Trail Blazers but came out on top, 115-107. In the final game of the night, the Los Angeles Clippers went up against the New Orleans Pelicans, with the Pelicans coming out on top, 121-117. 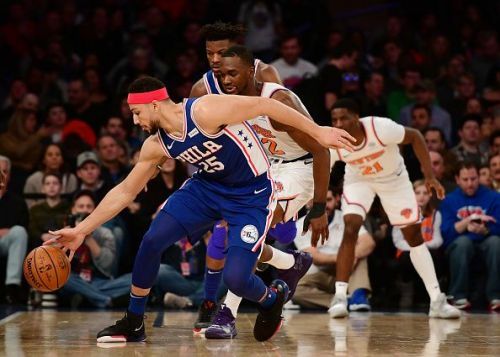 The Philadelphia 76ers are playing some good basketball of late and have even acquired a star player in Jimmy Butler, strengthening their chances of an Eastern Conference finals run. They are currently fourth in the Eastern Conference, with a 28-16 record. They have of late lost a bit of form, winning just six of their last 10. Ben Simmons has been playing some astonishing basketball of late. With Embiid and Butler being in and out of the team due to nagging injuries, Simmons has been playing really well. He is averaging more than 16 points a game, along with more than 9 rebounds and 8 assists a game. In the win against the New York Knicks, Simmons had a superb game, scoring 20 points, along with 22 rebounds, 9 assists.